May has been absolutely crazy! 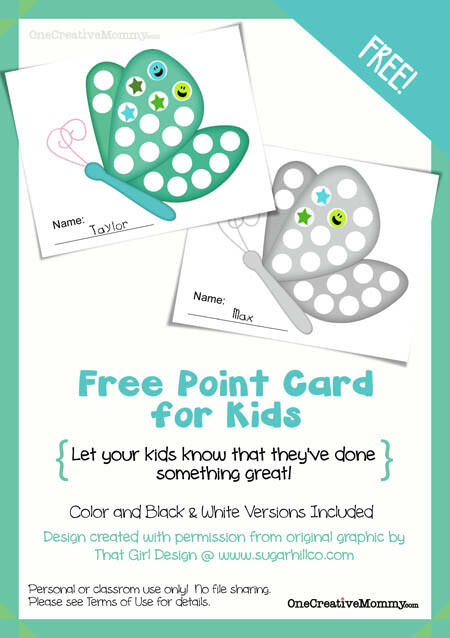 Maybe that’s why I forgot all about posting this month’s Free Point Cards for Kids! If you are new to this site, be sure to check out the other cards. (I’ve linked them at the bottom of this post.) Summer is almost here, and the kids definitely know it. It’s getting more and more difficult for the kids to focus at school and at home. Shake it up with a new point card and get the kids motivated again! Before I share the link, I just have to tell you about my adventure this week. It happened. The day I’ve been dreading since the birth of my first child. Not only did my oldest have a huge report/project due, but we found out that it was due three days earlier than we thought. (Today instead of Friday.) Fortunately, a kind teacher recognized the mix up and is letting her turn her project in late, but I am already dreading the endless line of projects that stretches into my future. Due to lack of motivation and busy schedules, we’ll be spending the entire evening frantically trying to finish up. If only there was a magic way to motivate kids (and moms) to keep up with projects before it’s down to the wire. I’m sure many of you can relate! I remember many late nights with my mom sitting at the computer to help me type/write my last-minute papers. Looking back, I’m sure she had about as much fun with it as I am having now, but I don’t remember her ever getting angry. She patiently helped me write and rewrite, and I’m sure I learned more about writing from her than I ever learned from my teachers. So, it’s a little late, but . . .
. . . and now I finally get to see what it was like in your shoes. Wish I knew then what I know now! Maybe I would’ve budgeted my time a little better. But, then again, I was just a kid . . . so maybe not! Check out more free point cards! I’m glad you stopped by! Please come again. These are fantastic! I’m a piano teacher and always love new ways to try and encourage practicing in fun ways :-) Totally going to try these out on some of my students! Thanks for sharing, pinning now as well! These are so adorable! I’d love to feature them on my blog this next month. Send me a message if you’re interested! Cute! Thanks for linking up! Thank you so much for the beautiful, cute point cards. They are perfect – exactly what I was looking for!